Do You Have to Have the Signature of a Divorced Spouse to Take Your Minor Child Out of the Country? A divorced parent may want to take a child on trips and vacations outside the United States without the other parent's involvement or permission. However, international travel with a child may require consent from the other parent. Travel without the other parent's consent may result in an international child abduction case or other legal consequences. Parents should know their rights established by their divorce decree and understand the relevant state and federal laws regarding travel with children. The divorced parents' custody arrangement often determines each parent's rights to act without the other parent's consent. If parents share custodial rights through joint legal custody, each parent generally has a right to oppose major decisions related to the minor child's life. For example, a parent with custodial rights may be able to oppose the other parent taking a child out of the country for a trip or for relocation. In addition, the terms of the parents' divorce decree may specifically restrict travel or relocation without the consent of both parents. If the other parent opposes the international travel, a parent planning to travel may need to obtain a court order. To travel abroad, a child requires a passport. 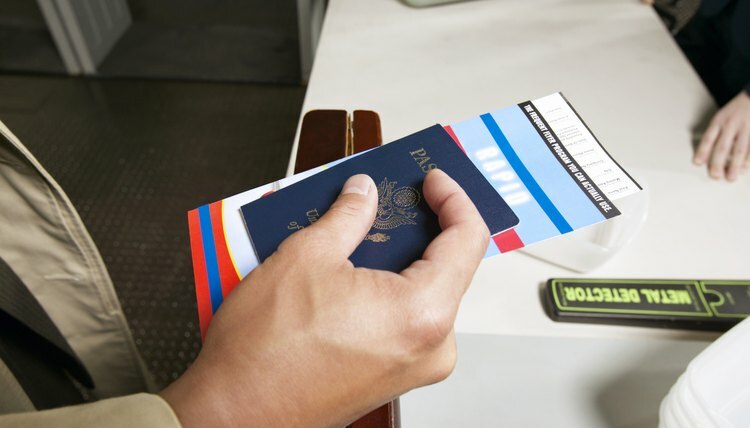 U.S. laws regarding passport issuance require both parents' signatures on the application form submitted on behalf of a child under the age of 16. Both parents must appear in person to apply for their child's passport. If only one parent can appear in person to apply for the child's passport, the other parent may provide a signed consent form. If only one parent would like to apply for the child's U.S. passport and the other parent does not agree, the parent applying for the passport generally must show a court order confirming sole custody of the child. However, a child who qualifies for dual citizenship may receive a foreign passport in addition to a U.S. passport. The U.S. Department of State does not oversee the application procedures and passport issuance laws of other nations. The U.S. Department of State suggests that a parent who plans to travel abroad without the child's other parent obtain a letter of consent. The entry and departure requirements for travelers often vary from one airport to another and from one destination to another. Under some circumstances, an airline employee or immigration official may ask to see signed consent from the child's other parent before allowing a child to leave the country. If a divorced parent takes a child out of the country without the other parent's consent, the other parent may be able to open an international parental child abduction case. The U.S. Department of State handles international child kidnapping through the Office of Children's Issues. In addition, a custodial parent may need to file a local police report and ask law enforcement to enter the minor's information into the National Crime Information Center, a federal database. The parent may also benefit from consulting with a family law attorney about enforcing the custody terms of the divorce decree. Can a Spouse With Full Custody Leave the Country? The Texas Family Code contains the regulations that outline the conditions of changing the name of a minor in the state. Parents, legal guardians or managing conservators, who are court-appointed guardians, may request to alter a child's name for adoptions, custody proceedings and other reasons. Parents must file a petition in the county court where the child resides and pay filing fees. Parents can mutually work out the details of joint custody and present a written agreement to the court for approval. If you need to change the agreement later, you can seek a modification of the custody order issued by the court. The terms of joint child custody are not set in stone by state law, but all state laws require judges to consider the best interests of the child. A court will generally agree to joint child custody arrangements when parents are able to work together to make legal custody decisions and physical custody arrangements that benefit the child. Visitation refers to the right of a noncustodial parent to spend time with her child. The exact procedures for applying for visitation vary between states, but typically a parent will need to ask the court to grant visitation rights. If parents can reach an agreement regarding visitation on their own, in most cases, the court will have only minimal involvement in the case. In contested visitation matters, the court may hold a trial to determine how visitation rights would affect the child. Does a Minor With Divorced Parents Need Permission From Both Parents to Exit the Country? Can Divorced Mothers Take Their Children Out of the Country? What Happens if the Non-Custodial Parent Moves & Doesn't Notify Courts in Pennsylvania?